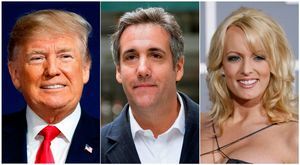 Trump, Cohen have backed away from Stormy Daniels&apos; hush-money agreement. What now? Michael Avenatti has no plans of backing down now that President Trump and Michael Cohen have asked to void the hush money agreement.